Home / News / NTR misses and Mahesh Babu catches it! 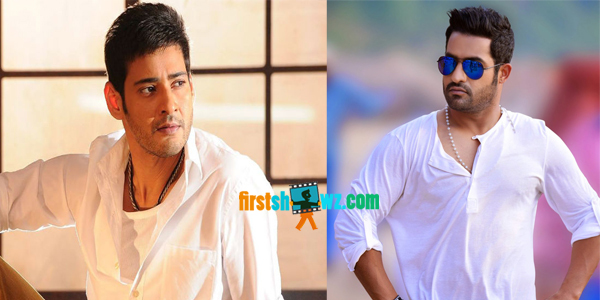 NTR misses and Mahesh Babu catches it! Firstshowz has earlier informed to its viewers that Mahesh Babu has recently finalized a film with Puri Jagannadh, which will be their third combo after blockbusters Pokiri and Businessman. Buzz has it that Puri Jagan has initially prepared the script keeping NTR in mind, but with the Young Tiger not so convinced, Puri Jagan has later narrated it to Mahesh Babu and the Super Star who liked it has immediately given his nod. Wonder how Puri Jagannadh has convinced Mahesh Babu for the script he originally penned for NTR. Mahesh, Puri Jagan’s film will commence after the former wraps the shoot of Brahmotsavam and AR Murugadoss directorial. Looks like NTR’s loss is Mahesh Babu’s gain. Let’s wait to see what Puri Jagannadh has in store for Mahesh Babu this time.